Place an inch of water in the bottom of a double boiler. In the top pan, place chocolate morsels and cover top of pan with plastic wrap. 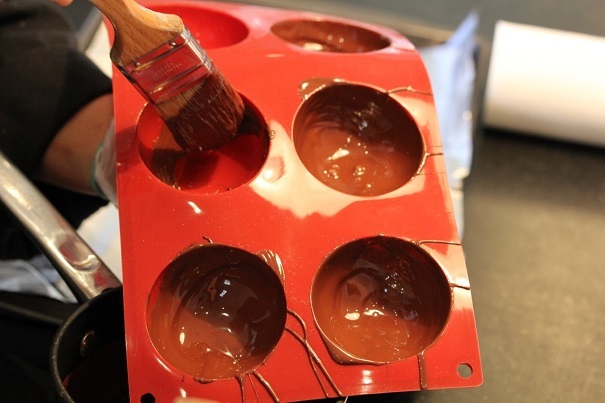 Using a pastry brush, brush the melted chocolate into the insides of the spherical molds. Turn upside down and let excess chocolate drip out onto a wax paper sheet. Put chocolate mold right side up and allow to harden, wiping off any chocolate that has seeped over the top of the mold – it will make it easier to remove the chocolate from the mold later. When chocolate has hardened, place pressure on the middle underside of the mold and gently push chocolate spheres from mold. Set aside. Place heavy cream in a well-chilled bowl and mix with an electric mixer at high speed until cream begins to thicken. Add sugar and whisk until soft peaks form. Place in refrigerator. 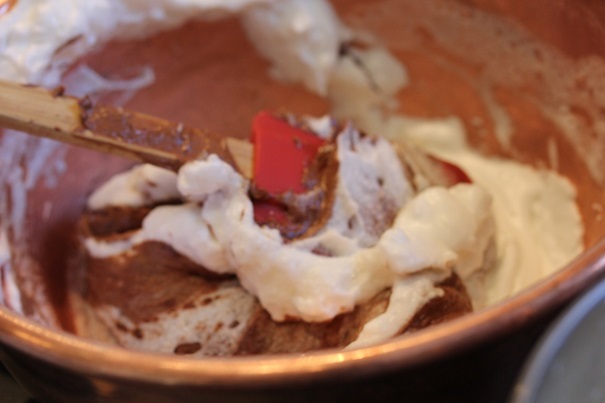 Melt chocolate chips in a small saucepan at low heat and set aside. Whisk a cup of the whipped cream into the melted chocolate. Add rum and egg whites and mix until incorporated. Fold in the rest of the whipping cream and refrigerate until needed. 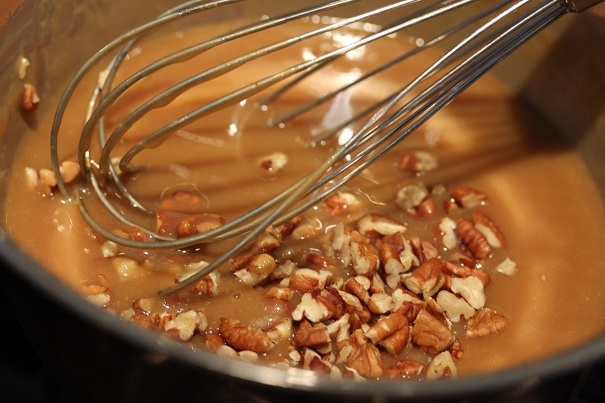 In a heavy-bottomed saucepan combine all ingredients except pecans and heat over medium heat. Allow mixture to boil, then lower heat and cook for 5 minutes. Turn off stove and add pecans. In a heavy-bottomed saucepan place sugar and allow to cook undisturbed at low-medium heat until it turns amber in color. Remove pan from heat and add cream, butter and salt. Return to stove and turn to medium heat, whisking vigorously until well combined. 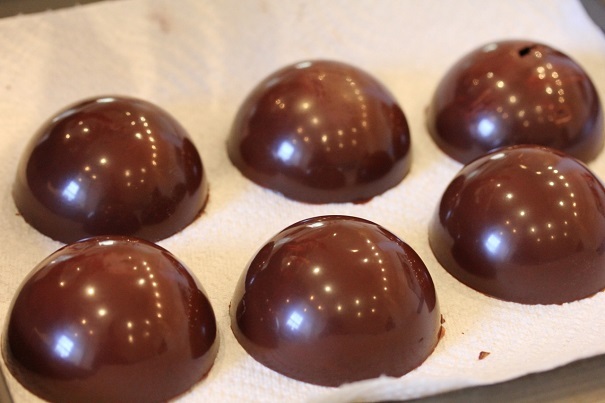 Take two of the chocolate spheres and fill each one ¾ of the way full with chocolate mousse, and press together. Using a warm, wet paper towel, wipe the place where the two halves of the chocolate sphere meet, cleaning off any excess mousse. 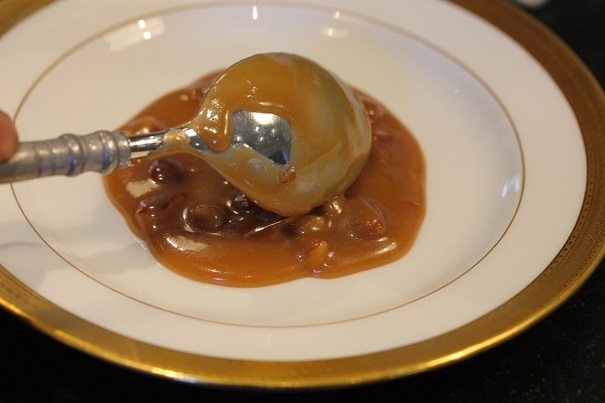 Place a tablespoon of the praline sauce into the center of a dessert plate. 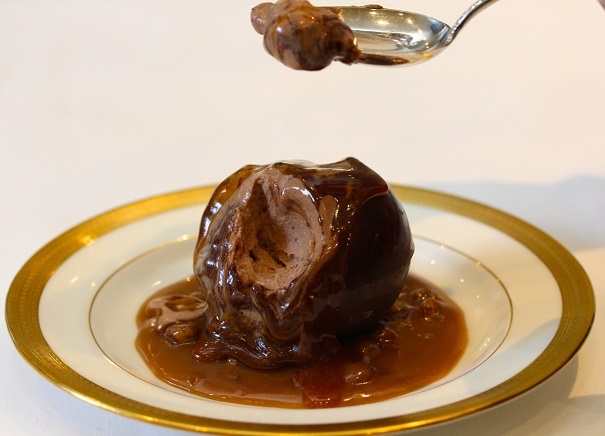 Place chocolate mousse-filled sphere on top of the sauce. 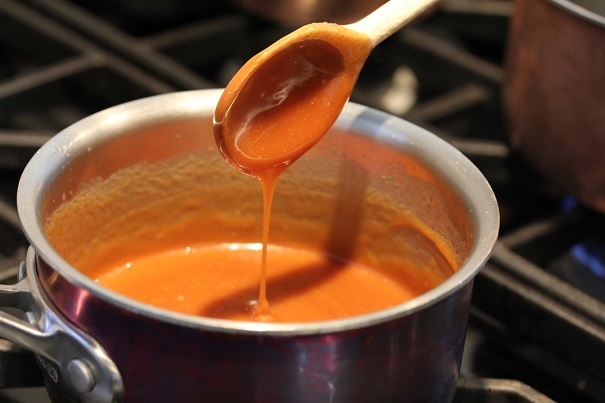 Have caramel sauce hot and ready to serve. 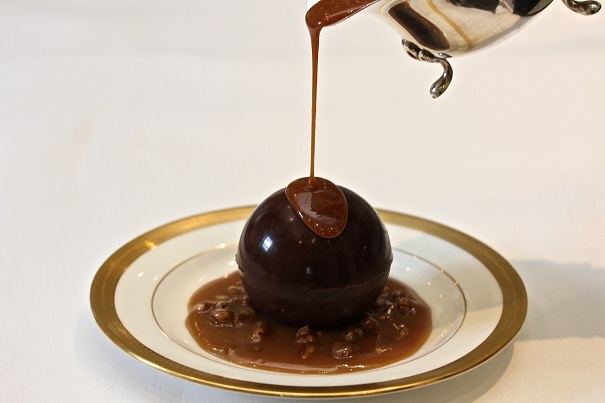 Serve spheres, and pour the hot caramel over the top of each sphere right after serving. 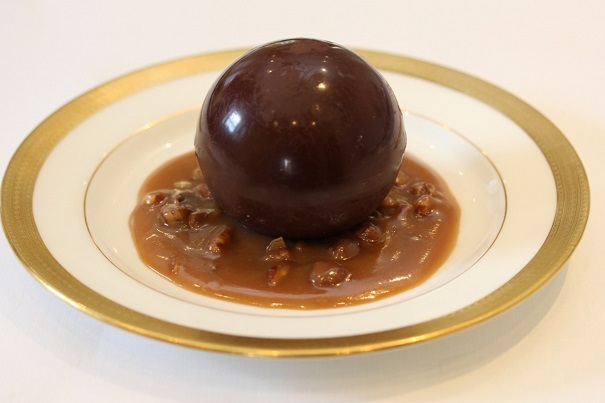 The heat of the caramel will melt the sphere.